I'm starting to get a feel for when to use my new SecaCam HomeVista, and when to use a different camera trap instead. 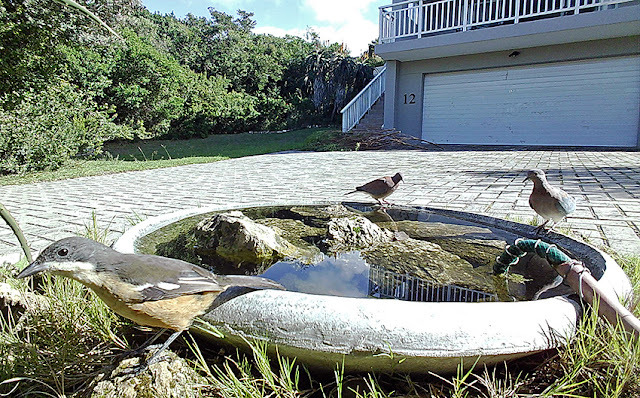 I had a feeling that the SecaCam HomeVista will be amazing when used at a birdbath, and I was right! The wide field of view is excellent for covering the entire area. The camera is also pretty good at handling close-ups and the final images have very little motion blur. I had the camera monitoring the birdbath for 12 days. 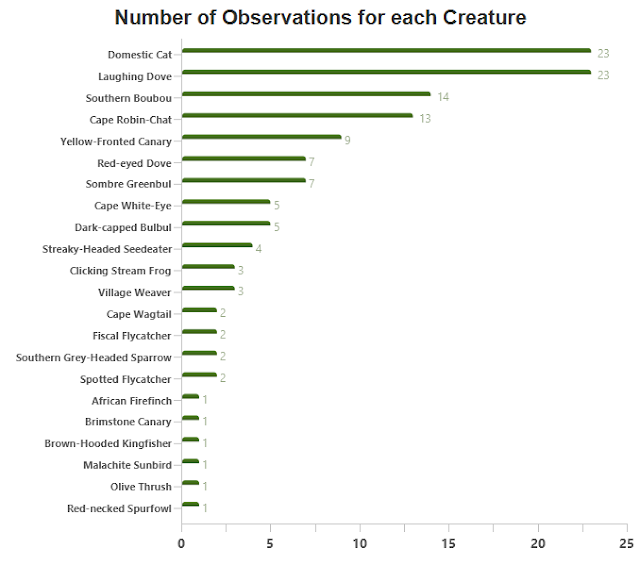 In total the camera recorded 140 observations. 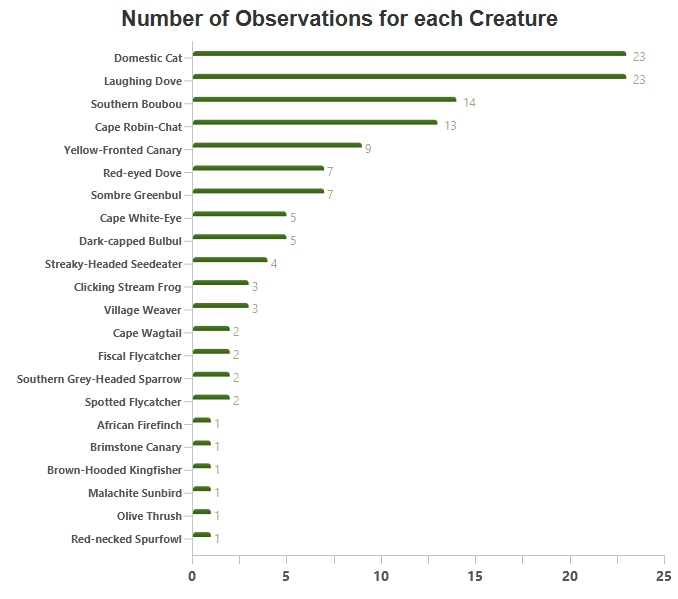 In total 20 bird species, one mammal species, one unknown reptile species and the local Clicking Stream Frogs showed up. I suspect that many bats also came to drink, on the wing, but I didn't get a clear enough photograph to be sure. On the one hand I feel OK about the 20 bird species. 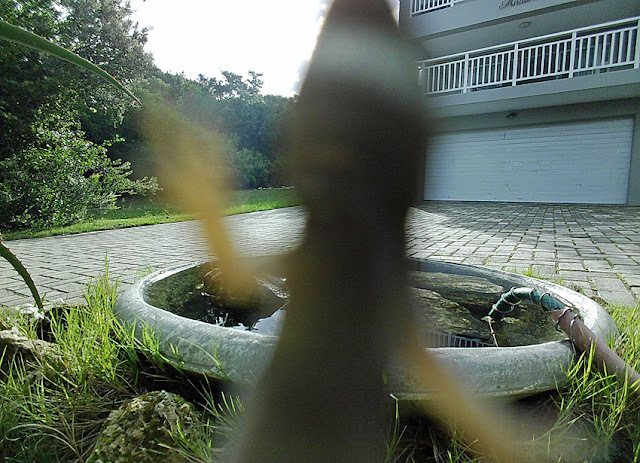 My personal bird count for the property is currently at 66 species, so camera trapping about a third of the species at the birdbath sounds like a pretty good start. The Sombre Greenbul are common in the area, but they are secretive and like to hide in the thick vegetation. Seeing one out in the open like this is a nice treat. I don't often see the African Firefinch, and this one below visited the birdbath only once. 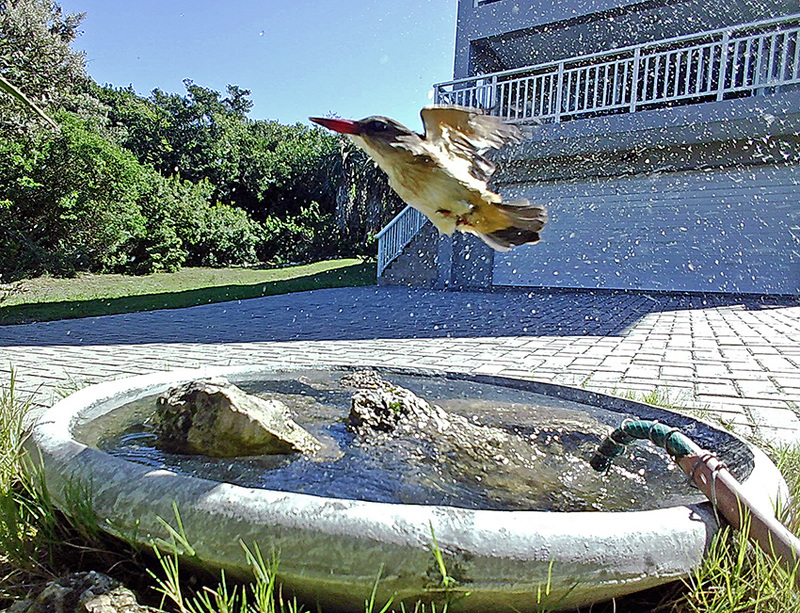 Interestingly some species, like the sunbirds, are very common on the property, but almost never seem to visit the birdbath. Some time after I bought the birdbath a Brown-Hooded Kingfisher started frequenting our property. 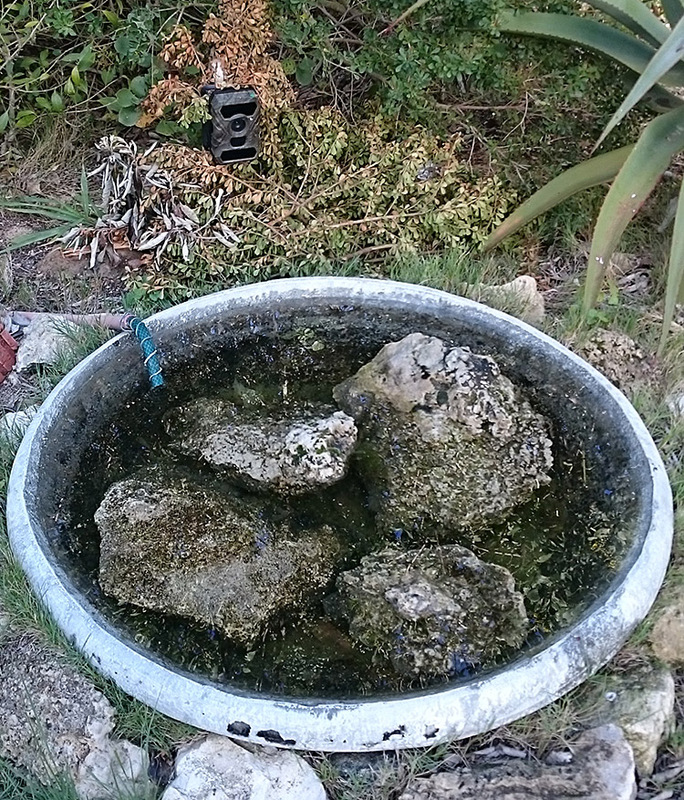 I think it happened shortly after I installed the pipe to redirected the rain water from the roof into the birdbath, to help keep the water fresh and maintain the water level better. I'm fairly sure the kingfisher wasn't trying to catch anything, but was rather bathing - by diving into the water repeatedly. Like many other Kingfisher species this one is not restricted to catching fish for a living. Instead they catch all sorts of insects and other small critters, not just fish.